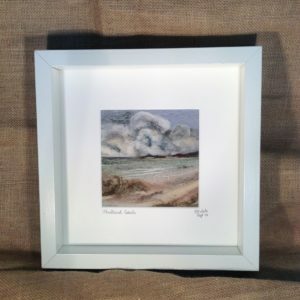 Our ever popular needle felt landscape pictures come mounted and framed in chunky frames which can either free-stand or hang. No one picture is absolutely the same but the basic themes are moorland, coastal and farming landscapes. They depict many well-known and well-loved areas of the country. Please have a look at our gallery to see our many examples. 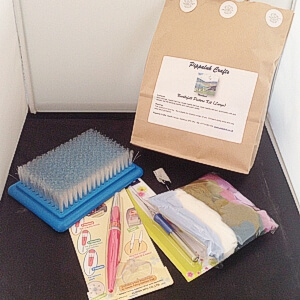 Our kits comes with everything you need to create two landscape pictures. 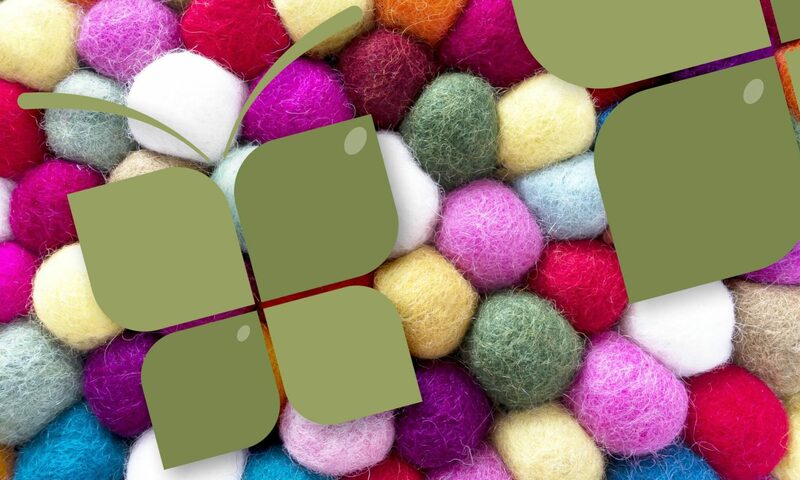 We hope it will provide a stepping stone into the wonderful creative world of needle felting. Currently only our ‘Moorland’ kit is available but we hope to soon provide a coastline kit. We have two sizes the ‘taster’ kit makes two pictures of approximately 6 x 6 cm and comes with gift card mounts. There is a coir felting mat, single needle tool and spare needle together with 8 different coloured Merino fibres. The cost of this kit is £15. The larger kit produces two pictures of approximately 12 x 12 cm and comes with Felting Mat, Triple Pen Tool, Single Pen Tool and a range of 8 different coloured Merino fibres. The cost of this kit is £25. Full instructions and diagrams are included with each kit. Come and learn how to needle felt! Small friendly groups with individual tuition. Classes are from 10.00 am to 1.00 pm. We will start by learning how to use the tools and fibres to produce a picture. We will then progress to a small moorland scene and once you are happy from this to a slightly larger coastal scene. All materials and picture frames are included. Please call to arrange a convenient date either at our house near Salisbury or if there are two or three of you that would like to form a group we can come to you. 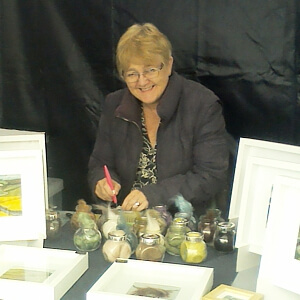 Enquiries from larger groups such as WI or craft groups are also welcomed. Groups of up to 4 people £40 per head to include all materials and two frames. Larger Groups can be catered for and we would aim to complete one picture over the course of a 2 hour workshop. Groups of 5 to 10 for a two hourly session £15 per head, 15 to 20 £10. se. Depending on distance and numbers we may ask for a contribution towards our travel expenses. All tools, a range of Merino fibres and frames can be purchased in addition to the class should students want to continue their work at home.